IBM Model F keyboards, which use IBM Capacitive Buckling Spring switches, are famous for their feel, sound, and aesthetic. Most enthusiasts state that Model F switches are better than Model M switches, though individual users may have different subjective preferences. IBM Capacitive Buckling Springs directly replaced Beam Springs. Their relatively low manufacturing cost (which was still rather high compared to other options on the market) led IBM to phase out Beam Springs in the early 1980s. Other advantages, such as better dust resistance, also encouraged the changeover. Model M keyboards, which use still-cheaper Buckling Spring over Membrane switches, started to replace Model Fs in the mid 80s. Model F switches have higher spring resistance than Beam Springs, but manage similar smoothness and greater drop-off based tactility. There are no sharp walls of tactility that stop one’s downstroke or upstroke movement. Rather, it feels as though one’s fingers are along for a comfortable ride. Some spring vibrations are transferred to one’s fingertips during slow keypresses. Clicky retractable pens provide a similar experience, though they feel more like Membrane-based Buckling Spring mechanisms than Model F variants. Model F and Beam Spring switches differ greatly in terms of sound. Model F keyboards have a slightly quieter click that is affected by spring harmonics, ping, and barely perceptible rattle. When typing rapidly, the whole keyboard “sings” due to spring vibrations. Similar harmonics are audible in Model M keyboards, which use Buckling Spring over Membrane switches, but the volume is much lower due to integral membrane sheets. Case design also influences sound characteristics. Model Fs with metal cases, like the famous Kishsaver, generate higher pitched metallic clicks and significant spring harmonics. 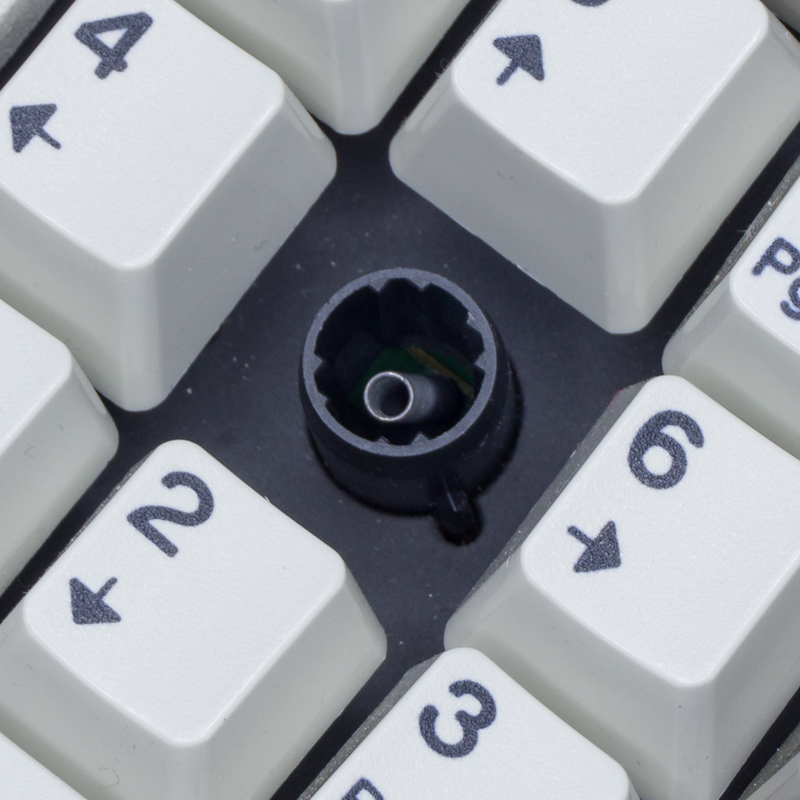 Models with plastic parts, like the XT and AT, tend to mildly dampen the vibrations and lower the click pitch. Modifications, which are often accompanied by repairs, can be used to customize the sound and performance of Model F keyboards. Decaying foam makes spring harmonics louder, so foam replacement should be a priority. Floss modding reduces harmonics by dampening springs with dental floss. Finally, dry PTFE lubricant on the flipper assemblies, keycap sliders, and barrels can increase smoothness.